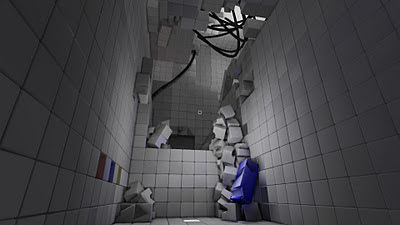 If you like Valve's Portal and Mojang's MineCraft then you should have a look at Q.U.B.E. now on Steam, Q.U.B.E. is a first-person puzzle game that challenges players to navigate each level by rearranging coloured cube puzzles, challenging you with logic, physics, platforming.